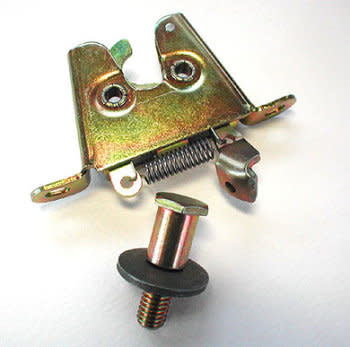 This Rotary Claw Latch is spring loaded, “slams” shut just like a bear claw latch and can be used in a variety of applications like trunks and hoods. 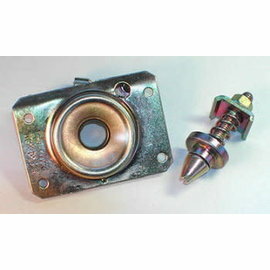 This Rotary Claw Latch is spring loaded, “slams” shut just like a bear claw latch and can be used in a variety of applications like trunks and hoods. It is 1.8″ high from the mounting surface to the top, 1.25″ from the mounting surface to the striker center and the attachment holes are 3.25″ center-to-center. The finish is zinc yellow chromate. 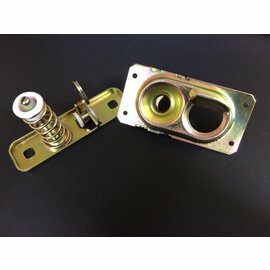 Latch has cable release mechanism below the mounting surface. Striker included.